The volume of data that an organization requires managing continues developing at a massive pace, developing several management issues for the IT professionals. ITIL management techniques address these issues, right away. Through the combination of the ideal practices for the strategies of IT service management with anin-depth understanding of the business requirements, this management technique allows data collection, analysis as well as distribution through reliable methodologies. The overall outcome enhances the efficiency of the products as well as reduce the response time. The strength of the process gets generated through impacting results that enhance customer satisfaction as well as downsizes operational cost. As more companies realized how ITIL management technique, the requirement for professionals is expanding across various domains that include higher education and health care. 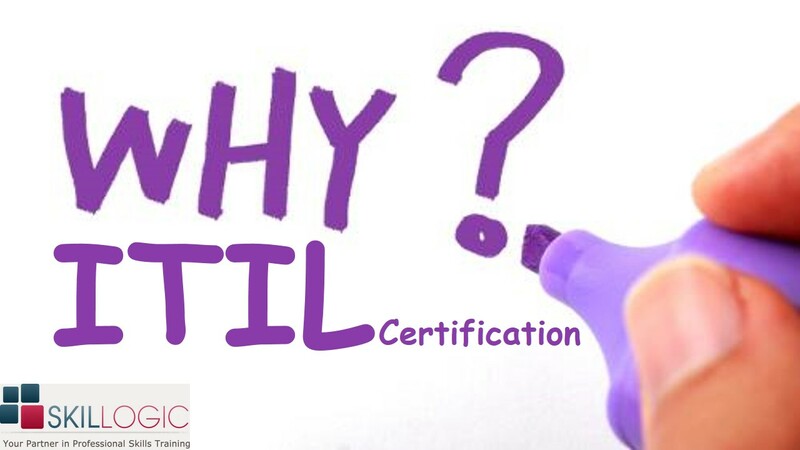 What are the various levels of ITIL certification and its benefits? The Foundation Level: this is the starting block for the ITIL certification programs that develops standard terminology and concentrates on the methodologies and the general knowledge that are needed for supporting ITIL as well as delivering the services. Candidates may expect to develop a fundamental understanding of the fundamentals of ITIL and the ideal ways to implement in the workplace. The Intermediate Level: this is the next layer of the ITIL certification program, and it includes various academic modules that candidate can choose as per their discretion and their respective requirements. This module focus on two sub-categories, service Lifecycle that involves the management of the ITIL process and Service Capability that imparts specialized knowledge on the process-level fundamentals. You can go for this level only after you have completed the foundation level. The expert level: the 3rd gradual level is meant for the expert candidates, having completed the foundation and intermediate levels. This level aims towards providing the knowledge and the skills that are necessary for understanding the entire scheme of ITIL. Candidates may select from arrays of ITIL process, depending on their respective needs. For achieving the expert level certification, candidates should have completed the foundation and intermediate level. Professional Level: this level is targeted to professionals, directly engaged in planning, management as well as operations of IT service management. The professional level of certification strengthens and broadens the practical application of the ITL knowledge, across varieties of industrial setting. ITIL certification can boost the professional skill and expertise of the IT managers, business analysts, directors, as well as the IT consultants. On completion of this certification, professionals acquire knowledge on the entire scope of this fundamental, and it develops in them a better professional approach that enhances their personal and organizational efficiency. It will be right to say that this certification will enable the professionals as well as the organizations to enhance its professional and business prospects. Thus, it will be a solicited moves for the professionals to undergo this certification. Organizations should also encourage its professionals in this regard.